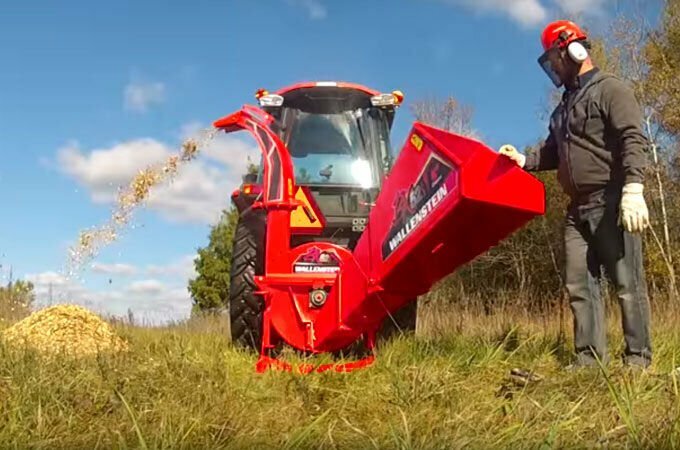 Wallenstein PTO and stand-alone wood chippers are considered the best in the world. 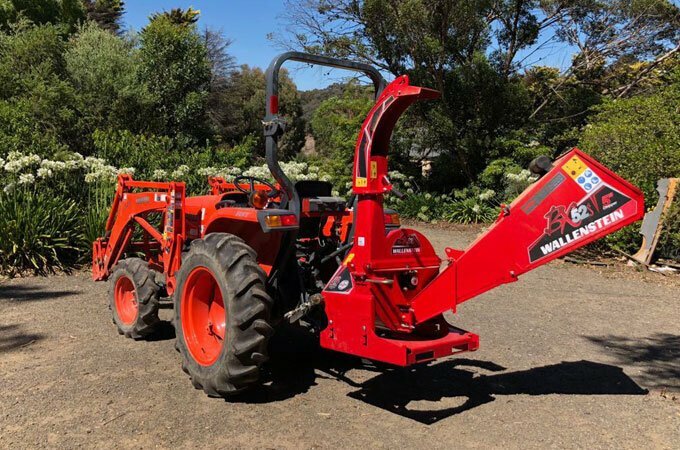 Manufactured in Canada, where vast expanses of forests and treed farmland makes a tractor chipper as ubiquitous as an Australian slasher, Wallenstein chippers are backed by Wallenstein’s five-year factory warranty. Wallenstein BX wood chipper are precision-built and powerful, converting messy debris into a valuable resource. Your unwanted and unsightly branches become instant mulch, significantly reducing fire hazards and adding value to your soil – retarding weeds on pathways and flowerbeds and enriching your soil. A Wallenstein BX series wood chipper is a strong, rugged machine that is engineered to work and keep working. 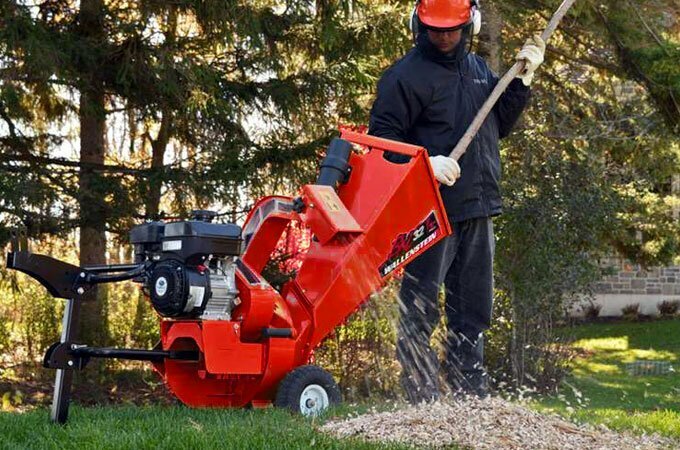 It is designed to provide, safe and trouble-free chipping of logs up to 10 inches in diameter, depending on the model. 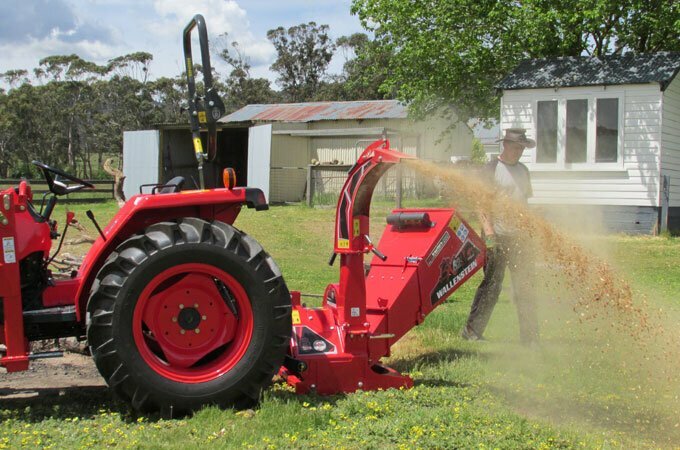 The Wallenstein BXS series wood chippers connect to your tractor’s PTO and your tractor’s PTO power is transferred straight into chipping and shredding. 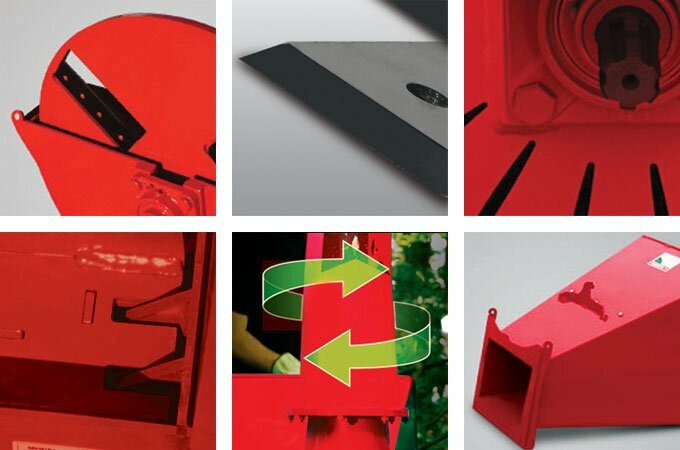 The self-feed hopper automatically pulls the branches in as it chips, reducing exertion. The BX52S PTO chipper has a self feeding hopper, reducing exertion and slap-back. Wallenstein has cleverly engineered its BXS PTO Chippers to simplify setup and facilitate storage, including a two-handle swivelling exit chute and an adjustable base to easily set up the PTO height. The folding hopper on the BX52S keeps the chipper compact during transport and to minimise storage space. Kubota L3408DT with Wallenstein BX52S wood chipper. Kubota L3800DT fitted with a Wallenstein BX52S wood chipper. From left to right: BX32S, and BX52S PTO wood chippers. At the heart of the Wallenstein BX chipper is an oversize heavy duty rotor and reversible chipping blades. The large diameter rotor has a faster tip speed for improved chipping action and the heavy gauge steel keeps your momentum to power through. Blowing force is maximised with air intake vents on the side of the chipper. Air enters through the vents and powers the chips out the chute up to 20 feet. Behind the blades are blower paddles with integrated twig breakers designed for greater output force and smaller chips exiting the machine. This provides more consistent chip size and allows you to propel the chips further. 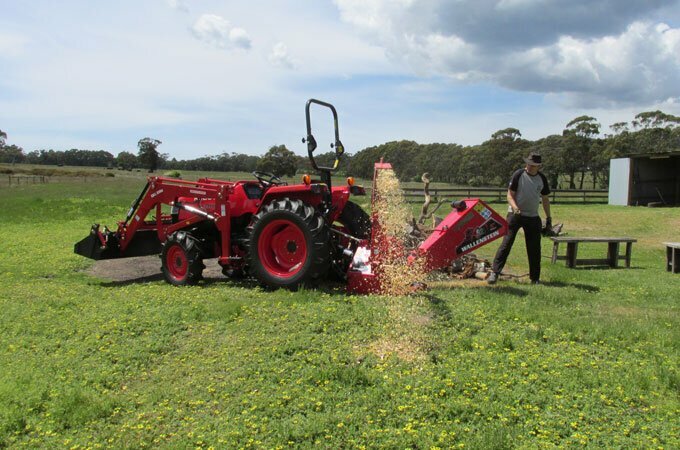 The self feed hopper is designed to angle the brush against the rotor and blades, pulling the branches into the chipper. The BXC32 is a smaller sized hand cart chipper powered by a Subaru engine, ideal for small property owners. It is lightweight and portable, chipping branches up to 3″ in diameter, which can be collected in mulching bags. 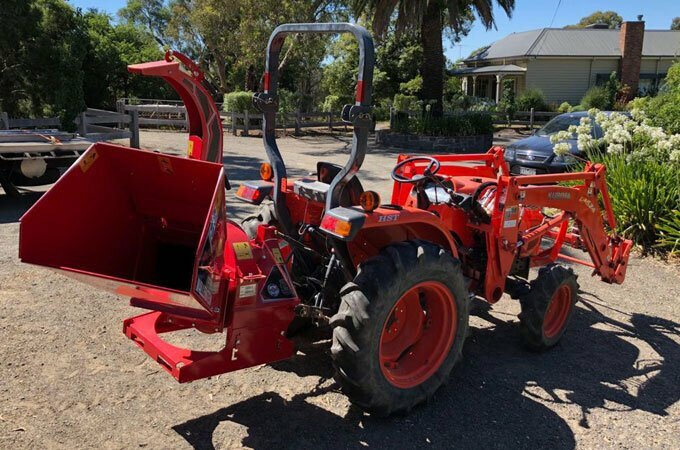 Features include non-deflating foam filled rubber tyres, a handle which easily flips into the towing hitch, the blower discharge having a positional deflector and the ability to attach a mulch collecting bag.